Who Can File a Defective Knee Lawsuit? If you or a loved one suffered from knee replacement problems including instability, pain, bone damage, and the need for revision surgery due to a defective knee, you may be entitled to damages. We provide free no-obligation DePuy knee lawsuit case review. We do not charge attorney fees unless you receive compensation and you are under no obligation after your initial consultation. Many knee replacement systems have a tendency to fail prematurely, causing patients extreme pain and tissue and bone damage. Faulty DePuy knees require revision surgery, which is more complex, painful, and invasive than typical knee replacement surgery. 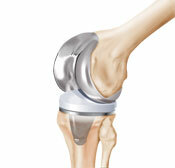 DePuy knee replacement systems should last approximately 15 years. Many reports are surfacing of DePuy knee failure after 1-2 years; in extreme case, DePuy knees are failing in mere months following the surgery. DePuy knee failure symptoms include pain, heat at the joint, hyperextension, knee instability, and swelling. Reports of faulty DePuy knees is particularly disturbing because of the company's history with faulty joint replacement parts. DePuy, a subsidiary of the global health conglomerate Johnson & Johnson, has encountered extensive difficulties worldwide for the early failure rates of its hip replacement components. For example, in 2013 the company paid $2.5 billion to settle more than 8,000 DePuy lawsuits. Persons who were implanted with a faulty DePuy joint were awarded, on average, over $300,000 each for the pain, medical bills, and rehabilitation time they suffered. Critics say the DePuy recalls came too late, long after the company first learned about the problem and tens of thousands of patients were implanted with faulty DePuy parts. Thus far, there have been multiple DePuy knee recalls for particular DePuy knee components, including the meniscal bearing insert in the LCS knee system and the LPS Lower Extremity Dovetail component. The number of complaints of early failure of DePuy knee parts indicates a large-scale DePuy knee recall may be on the horizon. Attorneys handling national DePuy knee lawsuits believe that persons who have been harmed by a faulty DePuy knee replacement or forced to undergo knee revision surgery may be entitled to significant compensation through filing a claim against the Johnson & Johnson subsidiary. 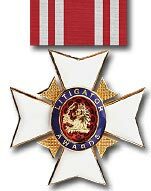 Backed by a strong track record of success in bringing pharmaceutical giants to justice for the harm caused by defective medical devices, these DePuy knee lawyers will work tirelessly on your behalf to pursue justice. 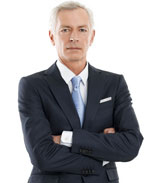 Contact our firm today for a free, no-obligation knee replacement lawsuit case review. Should you choose to retain our DePuy knee attorneys, there is never any fee unless we win compensation on your behalf. Persons and family members of persons who have suffered from DePuy knee problems such as pain, infection, bone loss, amputation, and the need for revision surgery may be entitled to compensation through filing DePuy knee lawsuits. Anyone who meets this description is eligible for a free, no-obligation case review with a lawyer handling national DePuy knee lawsuits. DePuy knee replacement lawsuits against the subsidiary of Johnson & Johnson are the best means for individual consumers to hold the pharmaceutical giant accountable. Attorneys handling DePuy knee failure lawsuits work on contingency, meaning you never pay legal fees unless we win compensation for you. Read full defective knee lawsuit information from attorneys handling claims nationwide. This page provides answers to common questions about filing a DePuy knee lawsuit. The answers contained in this page will apply to most general questions regarding a DePuy knee failure lawsuit. Our attorneys handling DePuy knee lawsuit claims also offer free, no-obligation case consultation. If answers to your specific questions are not contained in this page, contact the firm to speak directly with a lawyer handling national DePuy knee lawsuits. 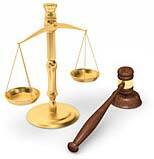 Read full knee lawsuit questions and answers. Our DePuy knee attorneys have extensive experience and a strong track record winning product liability cases for defective medical devices including DePuy joint replacement systems. When a large corporation appears to be profiting at the expense of American consumers, our DePuy attorneys see it as their mission to pursue justice and push the company toward greater corporate responsibility. DePuy knee lawyers help families recover the compensation they deserve and bring about lasting change. 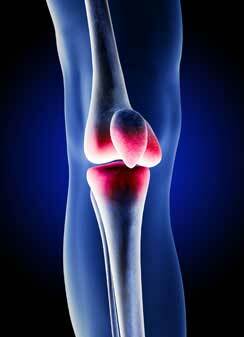 Read full knee replacement lawyer information for filing a defective knee replacement lawsuit. 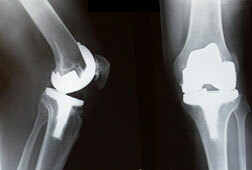 Patients who have been implanted with defective DePuy knee replacement systems report a trend of early failure rates. DePuy knee failure symptoms may surface in the months to years following a knee replacement procedure. Knee replacement components should last approximately 15 years, but many persons are reporting pain, swelling, and signs of infection in the two years following their knee replacement. Revision surgery is required to remove defective DePuy knee components, and may result in bone loss and other permanent injuries. Read full knee replacement failure information. To date, DePuy knee recalls are limited to particular components including a dovetail part and the Diaphyseal sleeve. Both of these DePuy knee recalls were Class I FDA recalls, in which surgeons are warned to halt the use of the defective part immediately because of the severe nature of the risk it poses to patients. Experts expect many more DePuy knee recalls to follow, as more patients step forward to report early DePuy knee failure rates. In many cases, recalls are issued too late to help thousands of consumers. Read full defective knee recall information.